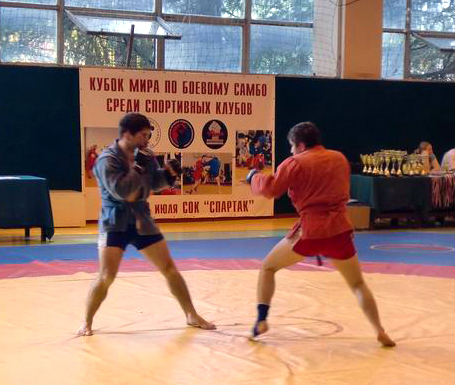 On September 24-25, 2011 Cup of Europe in combat sambo among clubs (youth, juniors and young people) took place in Kishinev (Моldova). 124 young sportsmen from 17 clubs from 7 country of Europe took part in this competitions: Russia,Ukraine, Моldova, Belarus, Hungary, Romania, Bulgaria. 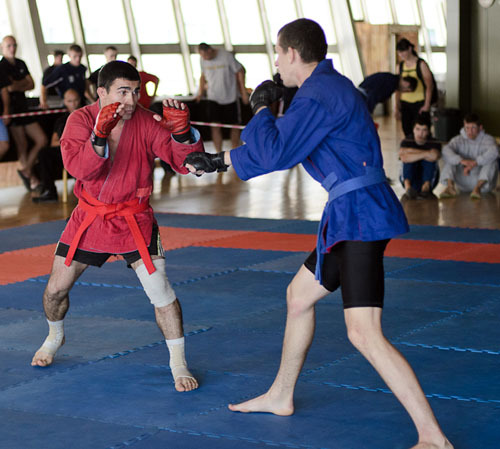 On September 15, 2011 Cup of Ukraine in mixfight among professionals "Grand Prix Ukraine" took place in Odessa. Propouse to your attention the result of tournament. On Jule 3, 2011 World Cup in combat sambo took place in Sochi (Russia). On Jule 2, 2011 International tournament among children 7-10 year and young 11-17 year took place in Sochi (Russia). On April 17, 2010 XV World Championship in Combat Sambo among men took place in Kiev, in the central Palace of Sport of Ukraine.